Pick out a grill and customize it just the way you like it. You can even draw out your own custom diamond-cut design and mail it back with your mold. Then, Put your grillz in the Shopping Cart and click the "Buy Now" button. Follow the check-out instructions to print your order. We need an impression of your teeth. You can make a mold yourself with our do-it-yourself kit or visit your local dentist office. Either buy your mold kit with your grillz or buy it before you buy your grillz. We will always mail your mold kit first and wait for you to send us a mold of your teeth. Pack your mold securely in the mold kit box and take it to your Post Office or UPS Store. We will look up your order in our system and start production shortly after. It usually takes 3-5 biz days to make your grill and you'll receive an email with a photo of your new grillz along with a tracking#. Gold teeth have been around for hundreds of years and have always been associated with luxury, money, and status. Everyone from hip-hop artists, celebrities, models, to the girl next door wears grillz. Now, as one of the top jewelry trends in fashion from hip-hop like Nelly, Paul Wall and Kanye West, fashion like Kardashian and Beyonce, to the corporate world wearing gold in your mouth and knowing that you invested your in yourself definitely makes you feel good. Iced out cuban chains, rolex watches, diamond earrings, and star rings are dope, but if you really want to make a statement wrap your teeth in custom gold grillz. Our compression fit gold teeth snap into place to give you the best fit available and are karat-stamped on the back. Invest in top quality custom gold grillz and your teeth will thank you. 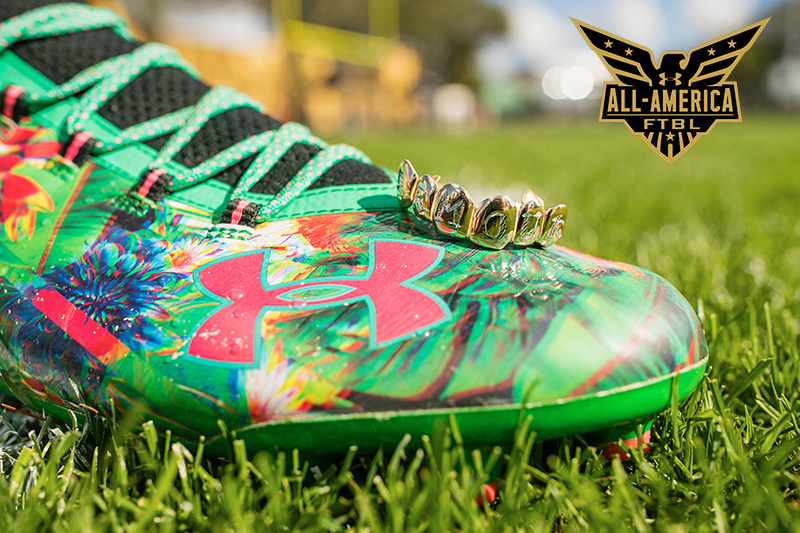 Gold slugs are currently one of the hottest trends in fashion. 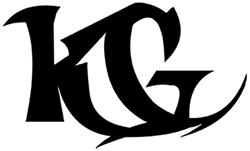 Krunk Grillz was featured on SpikeTV's Ink Master TV show. Celebrities, athletes and bosses get their diamonds right here. Grillz Videos and News. "Put your money where your mouth is" with gold teeth slugs from Krunk Grillz. 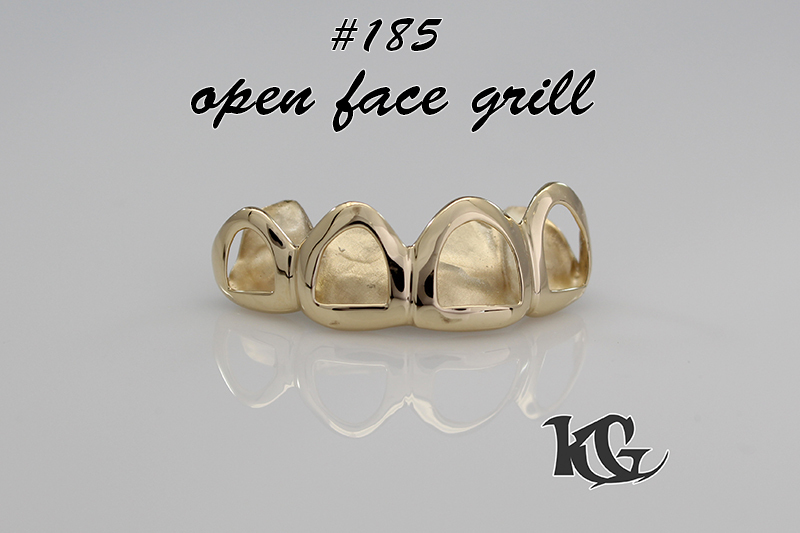 We have been customizing grillz for more than a decade online. We can ship to you anywhere like Atlanta, Miami, Houston, New York, Chicago, Los Angeles, Vegas, London and Sydney. Our gold grillz will get you noticed on the streets and clubs. Krunk Grillz can ship worldwide and our friendly staff will answer all your questions and help you place your order. Call us Mon-Fri 10am-6pm Eastern at (561) 455-2798. How Do I Get A Grill? First, choose your favorite style in platinum, rose gold, white gold, or classic yellow and add your mold kit to make an impression of your teeth. Follow the instructions in your mold kit and watch our mold kit video here to minimize mistakes and save a trip to the dentist. When you have your dental impression ready wrap it up in paper towels and bubble wrap then mail it back to us. Once we receive your dental mold we will start working on your krunk grillz. Our grillz are custom made for you so if you have your own design you would like to bring to life or would like to choose from one of our original designs let the gold experts help make that happen. The grillz process only takes a few weeks and they get delivered straight to your door! Remember, gold grillz symbolize success! Get a gold grill, custom fit for your mouth, without leaving your house, with a guarantee, only at Krunk Grillz! From click to krunk in about a week... We'll mail you a mold-kit to make an impression of your teeth, mail it back, then we hand-make your custom gold, platinum or silver slugs. Read more Wikipedia how to make a grillz. Get your gold grill with some diamond cuts, permanent look or with some real diamonds like hip-hop Nelly... Shop for Custom Gold Grillz. 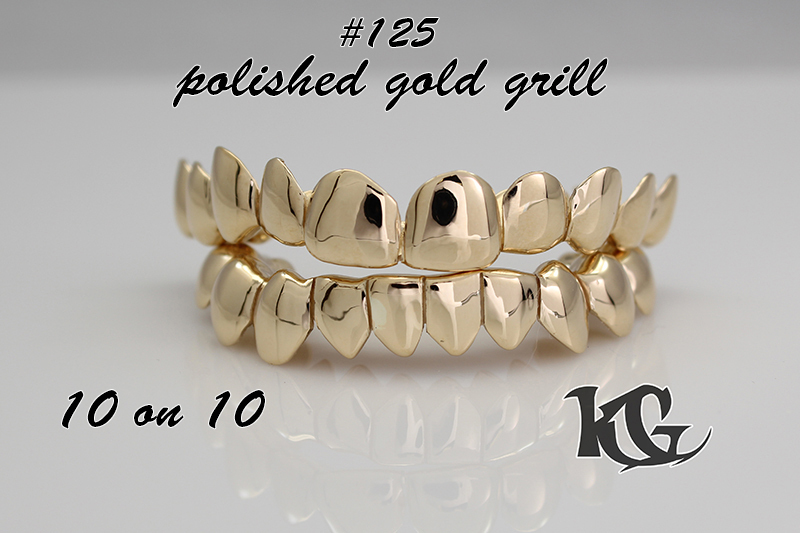 "Our reputation is on the line to make your grillz shine" with a gold grill from Krunk Grillz. Here at Krunk Grillz we have been revolutionizing the gold grill making process for more than a decade! Our master jewelers have been making gold teeth and grillz for 25+ years and we have thousands of satisfied customers throughout the world. We use only the finest quality gold, platinum and diamonds which is why your new set of gold teeth is guaranteed to have all eyes on you. Our customer service is unsurpassed and we can help you on the phone, email or in person. We maintain the highest quality standards throughout the whole grill making process. From our state of the art ordering system to ensure you receive your grill reaches your mailbox. The process only takes a couple weeks from "click to crunk". To our variety of gold grillz, Fangs, 10k gold, 14k gold, 18k gold, 24k gold, white gold, yellow gold, rose gold, silver and platinum grillz. If you want iced out diamond grillz, we got you. We are the one, and only, Krunk Grillz and we make the best gold teeth. Our gold grillz shine the hardest and last the longest. 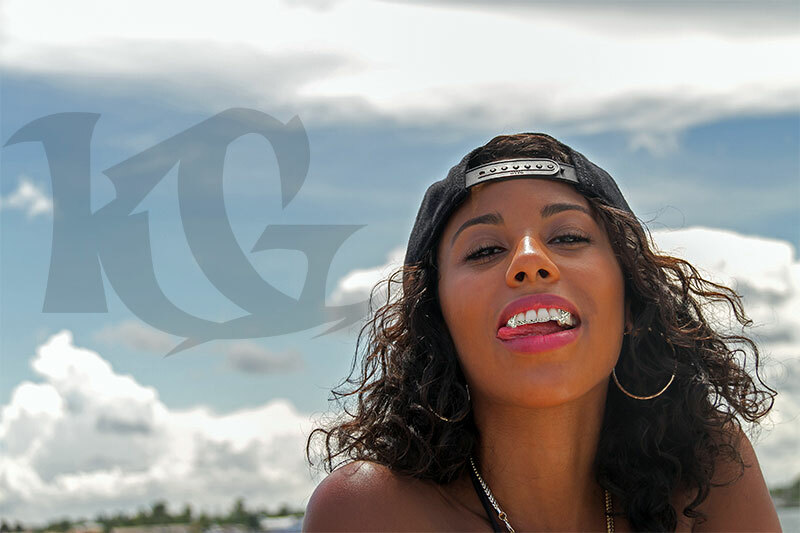 Look at our selection of gold teeth by clicking on the "Buy Grillz" tab. Make sure you get your mold kit today by clicking on the "Mold Kit" tab or check the box when ordering your grillz.